One of your most important and effective tools in your caregiver journey with your elderly parent is awareness. When you are aware of the risks that your aging parent is facing, you are better able to make the care decisions that will reduce those risks and protect your senior, or enable you to give them the care that they need to handle the issues that do arise. This can help your parent to stay healthier and happier as they age in place. One issue that your senior faces that you might not think of immediately is pertussis. Also known as whooping cough, this is a condition that is often thought of as being a risk only for young children but that is actually a high risk for older adults. Understanding this condition can help you to care for your parent in a way that can reduce the chances they will suffer serious consequences associated with it. Though the “whoop” sound for which the disease got its colloquial name is common among children, many adults will not exhibit this symptom. 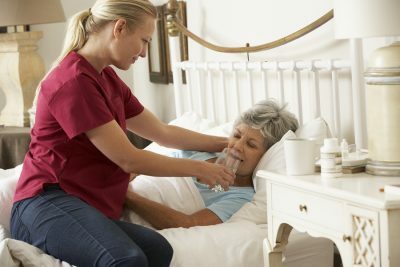 If you are concerned that your elderly loved one is at particular risk for suffering from whooping cough or another serious health issue, or they are dealing with a condition or disease that increases their vulnerability to such issues, now may be the ideal time for you to consider starting senior care for them. A senior home care services provider can be with your aging parent on a customized schedule that is right for their needs, as well as the care that you give them. This means that they will receive the support, assistance, care, and encouragement that they need to address their needs and help them to remain safe, comfortable, healthy, and happy as they age in place. When it comes to protecting your aging parent and helping them to avoid serious health issues, this senior care provider can help your parent to understand the risks that they are facing and what they can do to reduce those risks. They can then support them in remaining compliant with the guidelines and recommendations given to them by their doctor, and in making good lifestyle choices, such as eating a healthy diet, staying active, and keeping up with an aggressive germ control approach.